Have you ever wondered that kids that don't play sports are smarter. Well I created a survey and I got a lot of answer and it turns out that a lot of people play sports which is great. What else I got from my survey is that people that play sports can still have the same GPA it just depends on the knowledge and if the person studies. Sports help kids with a lot of skills like social skills, it helps builds self esteem and confidence. It teaches kids goal setting and practice. 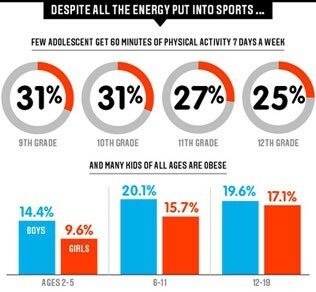 It helps kids stay in shape and keeps kids healthy.